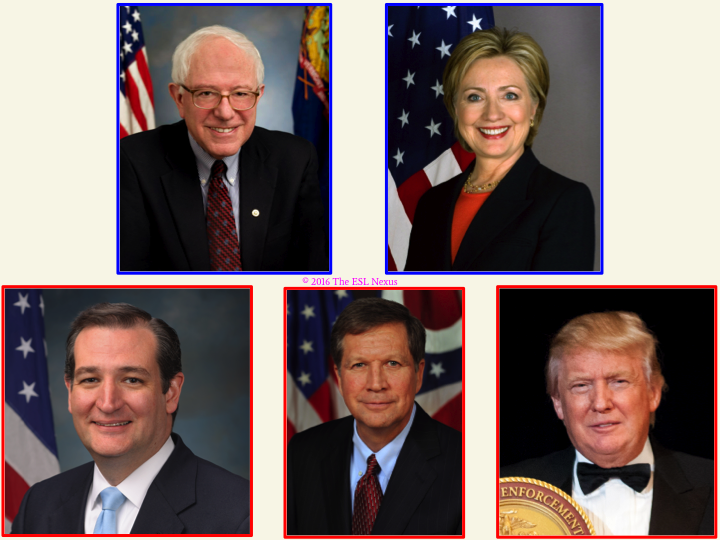 Does It Matter If Students Know Who I Want For President? or how I voted in any election, or any of these private affairs." Teaching adults in China isn’t very different from teaching students in U.S. public schools in one respect at least: In both contexts, it’s wise not to talk about politics. Arriving in China less than a year after the Tiananmen Square massacre, I was intensely curious about what people in the city where I taught thought but I dared not ask any questions. I could have gotten kicked out of the country and that was the last thing I wanted. 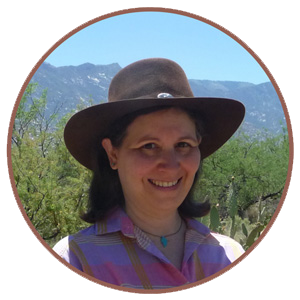 When I decided to start teaching at a public school in the U.S., I felt strongly that I should not reveal my political preferences to my students. They were at an impressionable age and however much I wanted them—and their parents—to vote the “right” way (that is, the way I voted! ), my job as a teacher did not include being a cheerleader for one political party or candidate over another. No matter how much my middle school students asked me, I never told them who I voted for. Instead, I always told them to talk to their parents and guardians about upcoming elections. Another reason for not telling my students was because I didn't want their caregivers to know my political preferences. Not only was it none of their business, I didn't want their perception of me to be colored through their political lenses. Although some teachers did share their presidential picks with their students, I believe it's best to stay neutral on such a potentially divisive issue, especially with middle schoolers. What's your opinion about this? I did teach lessons about the American political system, however. Not only on Constitution Day in September but towards the end of the school year as well, when my 5th grade ESL Social Studies class finished our unit on the Revolutionary War. We segued into what happened next in the development of the new nation and discussed the writing of the Constitution and the establishment of the three branches of government. And whenever it was an election year, I took all my middle school ESL Social Studies classes to the school gym, which was the polling place for the local precinct, to show the students how a primary election worked. Depending on the size of the class, we either went inside the room or looked through the large glass windows while I explained what was going on. 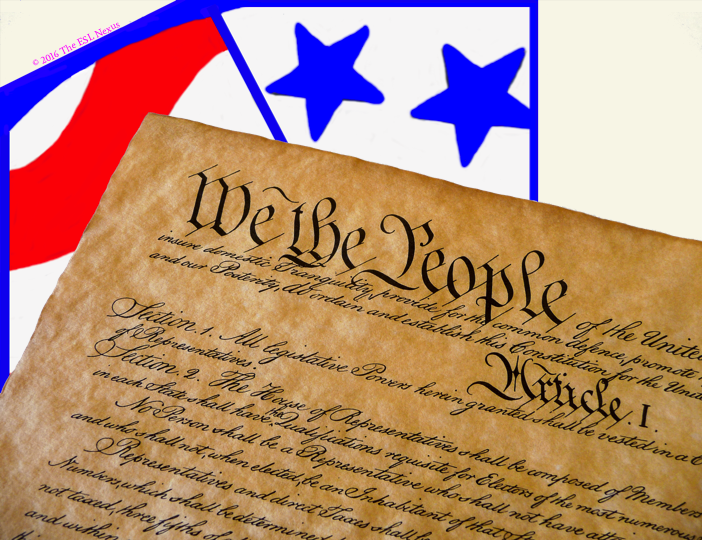 Every year, I was surprised at how little my students knew about how their government worked. They didn’t know what a primary was, what the difference between a senator or representative was or the names of their Congressional representatives, what the Electoral College was or, really, anything about the actual process of electing a president. And most of my students were not immigrants to the U.S. – they were born here but grew up speaking a language other than English at home. I suspect my classes weren’t alone in not knowing much about the American political system. So I’ve created some resources to aid teachers who, in this election year, are teaching their students how a president is elected. 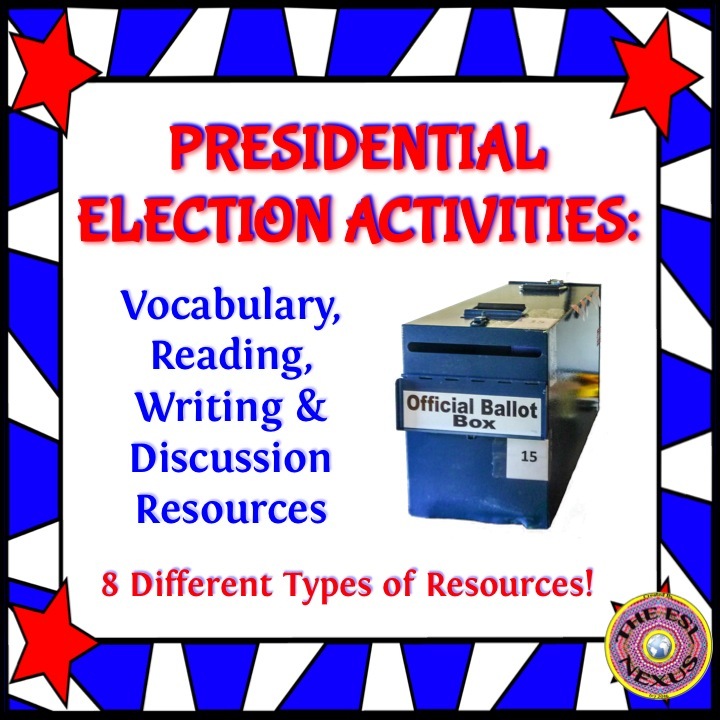 Presidential Election Activities is a collection of eight resources that present vocabulary words and phrases, in various types of activities, that I think are essential for students to know in order to understand the process of electing a president. It includes flash cards, a word wall, a memory game, discussion and writing topics, word searches, crossword puzzles, and a reading passage with questions about electing the president. There’s 88 pages of student material plus additional pages for teachers. 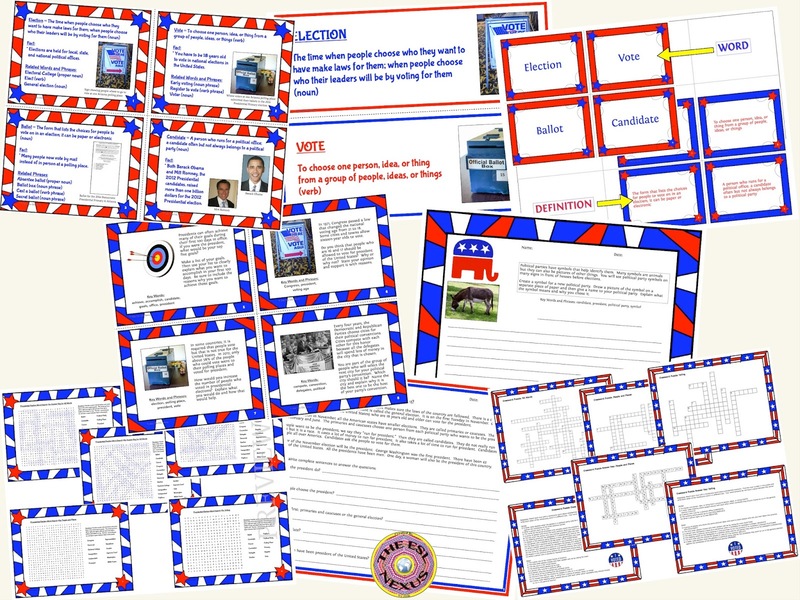 I've also taken pieces of the Presidential Election Activities product and created smaller resources from it, for educators who are looking for more targeted items. They are broken down as follows: Vocabulary Resources, Discussion and Writing Topics, and Word Searches and Crossword Puzzles. All these activities can be used with regular education students and also English Language Learners because the definitions used on the flash cards and word wall, and the text in the reading passage and for the discussion and speaking topics, are written in easy-to understand language. An online readability tool that I used rated the reading passage at a Grade 4 level so older students not reading on grade level and ELLs with lower language proficiency levels should be able to comprehend the text. Few of my students had ever gone with their parents or caregivers when they went to vote. But some of them told me, after seeing firsthand what's involved, that they later accompanied their parents to their polling place to vote in elections. Yes!!! If I was able to instill the importance of voting in my students, and get them interested in the political process, that was much more rewarding to me as a teacher than merely telling my students who I wanted elected as president.